When Dewayne “Lee” Johnson was awarded $289 million for damages related to non-Hodgkin’s lymphoma, he didn’t just triumph over Monsanto. He also may have created a path forward for thousands of similar plaintiffs. A San Francisco jury has ruled in the first court case against the chemical company Monsanto, finding that its signature products, glyphosate-based herbicides Roundup and Ranger Pro, are associated with non-Hodgkin’s lymphoma—and that the company acted with malice and negligence in failing to warn consumers. They awarded the plaintiff, 46-year old Dewayne “Lee” Johnson, $39.2 million in compensatory damages and $250 million in punitive damages. This is a huge win for those who have been sounding the alarm about the dangers of these widely used herbicide products for years. This is also a huge hit to Monsanto: the majority of its $14.6 billion in annual sales come from herbicides containing glyphosate and seeds genetically engineered to withstand those herbicides. This is the first case to challenge the chemical behemoth (which was recently acquired by Bayer Chemical) about its weed-killers, but it won’t be the last: There are more than 4,000 other plaintiffs waiting in the wings. I attended the closing arguments of the trial and I couldn’t stop watching Johnson, with his back to the public seating and his broad shoulders pressed against his dark-blue fitted suit. Johnson sat still as his lawyer described his cancer as a “death sentence.” His trial had been expedited because these would be his last weeks, possibly months — or by some miracle, years — on the planet. I thought about the photographs we were shown of his cancerous lesions and how, under that suit, his skin was rubbed raw. I thought about his three sons. I thought about his wife who, we heard, couldn’t be present in court because she was at working 14-hour days, unable to get a paid day off and unable to miss work because the family has bills to pay. And I thought about my own family’s fights with cancer and my father’s death sentence: a diagnosis of glioblastoma at age 61 and the nine months he lived, in deteriorating health, as his cancerous brain tumor grew. With cancer you always ask: Why? With that question comes the challenge of connecting any one cancer irrefutably to any one chemical exposure. In my father’s case, we speculated: was it the formaldehyde he had used in his lab? 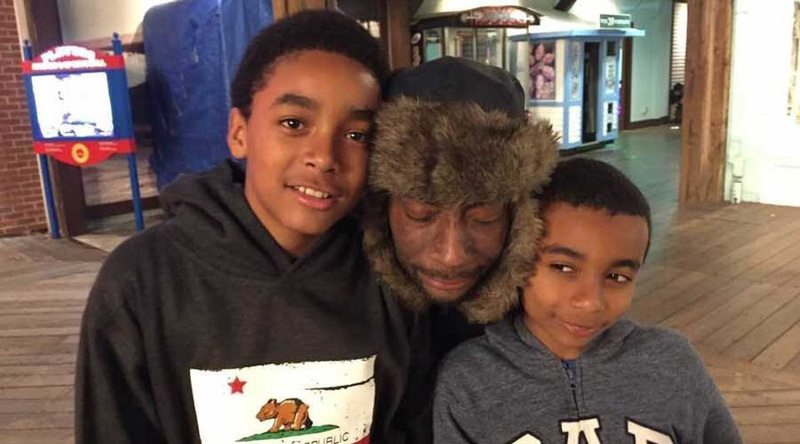 In Johnson’s case, his lawyers argued that the Roundup and Ranger Pro—proprietary mixtures of glyphosate and other toxic ingredients —he had used while working as a groundskeeper at a San Francisco Bay Area school was a substantial factor in his non-Hodgkin’s lymphoma. In the course of his job, he would disperse upwards of 150 gallons a day during the spraying season. His lawyers argued that Johnson was exposed multiple times over the years he worked there, particularly when his sprayer malfunctioned and he was soaked with the herbicide and when his backpack applicator leaked, dripping it down his back. Monsanto’s lawyers claimed, not surprisingly, that they were wrong. Over the course of the trial, Johnson’s lawyers worked to explain complicated stuff: the epidemiology, toxicology, and mechanism of the carcinogenicity of the products. The plaintiff’s lawyers had on their side reams of evidence, including the International Agency on Cancer Research’s (IARC) 2015 determination that glyphosate was a probable human carcinogen. To argue the case, Johnson’s lawyers had to present this complex science to a jury made up of everyday people. But unlike you and me, the jury had to process what they heard and make a judgment without doing any research on their own, discussing the case with anyone they knew, or digging into any of the evidence outside of the courtroom. And they had to do so with limitations of what they could learn about the case in that courtroom. Johnson’s lawyer argued that it was exposure to formulated product—glyphosate plus much more—that was the precipitating factor in his cancer. But the judge had struck from the record, after Monsanto petitioned the court, the witness commentary that referred to the decision by European regulators to demand Monsanto change its formulations for the herbicide sold. The European Food Safety Authority was particularly concerned with the ingredient polyethoxylated tallow amine (or POEA); it is now banned in glyphosate formulations there. Similarly, the jury also wasn’t given an opportunity to peruse for themselves all of the pages of court documents to understand how the company has worked to obfuscate the science and instill doubt about the IARC ruling. The jury also had no chance to learn that George Lombardi, counsel for Monsanto, has been defending the tobacco industry in court for years. Lombardi’s bio boasts that he “has secured numerous victories for client Philip Morris (PM) in its ongoing tobacco litigation cases.” Would the jury have been less inclined to trust Lombardi’s judgment about cancer and risk if they knew he defended Philip Morris for misleading consumers about the safety of Marlboro Lights in a massive class action lawsuit in Missouri? The tobacco industry has known for decades that light cigarettes are no safer and that smokers assume otherwise, exploiting these two facts to market light cigarettes on safety claims. Yet Lombardi helped defeat the class action, saving Philip Morris a potential $1.8 billion claim. Today, more than 11,000 people die every year in Missouri from tobacco-related illnesses or second-hand smoke. On the conclusion of closing arguments, the jury adjourned. It was nearly three days before they reached the verdict. And despite all of these limitations to the information they could access, the jury ruled unanimously on behalf of Johnson—on every single count. Chemical pesticides have been in use since the end of World War II, and we have learned a number of lessons in that time: Chemicals that we thought (and were told) were perfectly safe have been found to be profoundly damaging to the birds and bees — and to us. The insecticide chlorpyrifos, for instance, developed as a Nazi nerve gas, was promoted in the post-war period as an effective pesticide to kill cockroaches and other indoor pests and to stave off insects on farmland. It was not until 2000 that the evidence had piled high enough to show the brain-damaging properties of this insecticide, and advocates pushed hard enough to overcome industry lobbying, to pass an indoor ban. Another nearly 20 years have passed and we are still fighting over chlorpyrifos. Hawaii was the first to pass a state-wide ban on chlorpyrifos in June and, just last week, the 9th Circuit Court ruled that the EPA must heed its own science and ban the insecticide as well. Now we know glyphosate formulations, which had been promoted as perfectly safe for human health for years, is irrefutably linked to non-Hodgkin’s lymphoma. At the press conference after the ruling, Robert F. Kennedy, Jr., attorney of counsel Baum Hedlund, who tried the case, noted that “Monsanto has other problems.” The science on these glyphosate formulations is “cascading” with increasing evidence that these products may also be associated liver cancer and endocrine disruption, he added. We’ve also learned that many of the companies that produce the chemicals we interact with daily have suppressed data, manipulated science, and lied to regulators. It has been reported that Dupont, for example, knew about the toxicity in the chemicals used in its Teflon products, but marketed the products as safe nonetheless. It has also been shown that Monsanto well knew the impacts of its PCBs and fought communities in court for years before settling lawsuits worth hundreds of millions of dollars. Now we know, through this case’s discovery process, that Monsanto has done all of this to keep its glyphosate products on the market. At that same press conference, Johnson’s lawyers noted that they were only able to use a fraction of the evidence against Monsanto in this trial. But more will likely come out in the proceeding cases. We have been witness to this decades-long history of chemical companies dismissing the science about the human and environmental harm of specific chemicals — sometimes for years, sometimes for decades — all while their products remain in use. My father died of cancer 13 years ago and I still think about him nearly every day. When Dewayne Johnson dies, he too will live on through his children. The tragedy for Johnson and his family is that it didn’t have to be this way. As his lawyer stated in his closing remarks, Monsanto had a choice: a choice to warn consumers about the cancer risk, a choice to undertake the studies that its own scientists recommended, and a choice not to mislead the public by ghostwriting literature that pushed the narrative of safety. The company now faces the choice to accept this unanimous verdict, take responsibility, and take action to protect others from harm. With their declaration to appeal the verdict, that seems to be another choice they are not making. This ruling won’t reverse Johnson’s fate. But it may give his sons some solace, knowing that the company may yet be held to account for their loss. And it should give them pride knowing that their father’s case is moving us one step further toward warning communities about this threat and removing these weed-killers from the marketplace altogether. A version of this post ran on Medium. Dewayne Johnson was handed a death sentence by Monsanto, a non living entity operated by toxic, hateful, greedmongers. His wife works 14 hours a day so the family can survive. By the time the Johnson family sees a nickel from Monsanto, the children will be adults. The Johnsons are true American heros, hardworking parents trying to make a better life for their children. And thank you to Robert F. Kennedy, Jr. for fighting for justice for Mr. Johnson. Looks like there have been a number of lawsuits stacked against them. This article seems to argue that this might put some pressure on them to settle but I have a feeling this is similar to the big fight against tobacco years ago. When you have that much money you keep fighting. It's going to be a long battle. Bravo! San Francisco JURY- You have restored our faith in the Justice system defending our human rights against Corporate slow-motion mass murderers. I am extremely happy that the judge could not be paid off and that this victim is compensated especially his children .I believe that we must stop letting major companies push individuals around with their chemicals and their drugs etc.I believe that we must stop letting major companies push individuals around with their chemicals and their drugs etc. Monsanto has been around a long time and they are way too powerful and bear uniting with them is another worry . Do hope this is a warning sign for other chemical companies that it will not be tolerated . I have been to court with documentation that was never seen and then told that I needed to go to civil court which I could not afford .I have experience The loss of three Therapy Dogs from chemical poisoning . Thank God they died fairly quickly but my heart is still broken. I have made chemicals education a priority in my life And I try my best daily to educate people who do not want to hear and to sign petitions. Monsanto needs to answer for all the seed Control that I have altered . I could talk for days about this issue . Sadly financial compensation only scratches the surface of the pain and suffering Mr. Johnson experienced due to the lies and corruption of Monsanto. I am so thankful to the lawyers who represented Mr. Johnson. As a trial attorney, I can say it took so much risk and commitment on their part to bring this to trial and do so successfully. Plaintiff attorneys work on a contingency so if the client doesn’t recover, they don’t get paid and actually lose money the firm fronts on experts etc which I’m sure in this case was hundreds of thousands, if not millions. If a settlement was offered, good for Mr. Johnson for turning it down and taking them to trial. Now the public can know everything that was presented instead of a confidential settlement.